Beaumont Inn: Celebrating 100 Years! In 2019, the Beaumont Inn celebrates its 100th year. Located in the heart of bourbon and horse country, the Beaumont Inn is the perfect place to kick off your bluegrass experience. Our historic bed and breakfast is located in Kentucky’s oldest town, Harrodsburg, and is within walking distance of our quaint downtown. The Inn itself hosts a variety of modern amenities including comfortable rooms and suites, meeting rooms perfect for any conference, walking trails, a pool in the summertime, a relaxing spa, personalized bourbon tastings with Innkeeper Dixon Dedman, and three restaurants to choose from: our legendary Dining Room, lively Old Owl Tavern, and cozy Owl’s Nest Pub. Beaumont Inn has been honored with numerous hospitality and food awards, including the prestigious James Beard Foundation America’s Class Award (the Oscars of the food world). 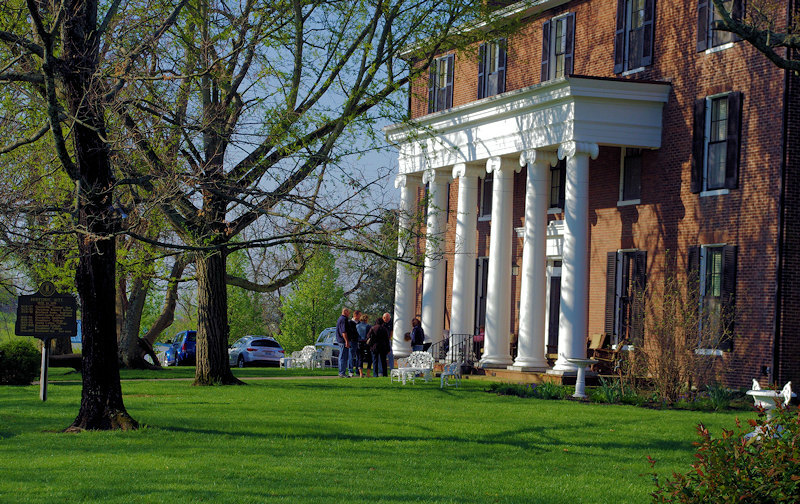 In January 2019, the Beaumont Inn and Innkeeper Dixon Dedman were featured in The New York Times in an article celebrating Kentucky Owl Bourbon and the history of the Inn. 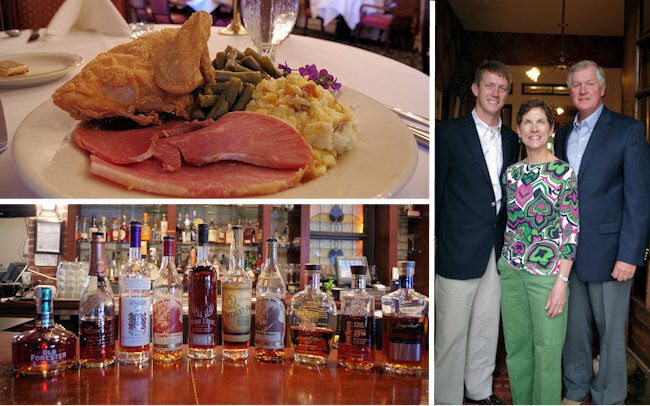 At the end of 2018 and early 2019, the Inn’s southern food, history, and traditions were explored by Kentucky Living Magazine, Kentucky Monthly Magazine, and the Kentucky Visitor’s Guide. In April 2019, Southern Living Magazine once again named the Beaumont Inn one of the South’s best places to stay. Click here to read these articles and others about Innkeeper Dixon Dedman and the Beaumont Inn. The Beaumont Inn is also an official stop on the Kentucky Bourbon Trail and provides tours from the Inn to the nearby distilleries. Shaker Village of Pleasant Hill and Centre College are also within quick driving distance. A celebration of our history is captured in our History Book which was released in January 2018. We also have our sixth edition of the Beaumont Inn Classic Recipes cookbook. Many nearby attractions including Keeneland, horse farms, historic sites and bourbon distilleries. See our Kentucky Travel Guide. Come visit with us, experience our genuine hospitality refined through five generations of innkeeping. The Beaumont Inn captures all the historic bluegrass charm any guest could be hoping to find. Whatever your vacation needs, we are delighted to be your hosts! PS: Sign up for occasional email updates from us with news and special offers.